Below is a summary of the five most important elements of great web design. 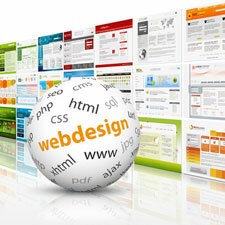 For the full article about great web design, click here. Simplicity is at the core of everything from visuals to usability to code. It’s much harder to create a beautiful simple design, or write elegant simple code, than it is to cobble together a complicated mess. Whather it's fair or not, looks count for a lot. A well designed, calm, elegant site will make people feel at ease, and as if they can trust the owner of the website. A badly balanced, fussy, clearly homemade website will give the impression that the company is unprofessional. It takes a great deal of thought to pre-empt how visitors will use a website, but doing so and making sure they feel comfortable and dopn't get lost, will make the difference between a call and a back button click. Objectives need to be defined early on, and the appropriate strategy and tactics applied. Are the calls to action in the right place, has enough been invested in SEO? How many customers does the website need to find for the business? You can have the most beautiful, usable web design in the world, but if it’s not indexed by the search engines, it’s not going to do you one jot of good. Search engine optimisation is not an area that can be summed up quickly and includes multiple on-page and off-page elements. Read our intro to SEO here. Read the full article about 5 elements of great web design here.